Reports that Apple had acquired headphone-maker and music streaming service Beats for $US3 billion were today confirmed, making it the largest acquisition in Apple’s history. 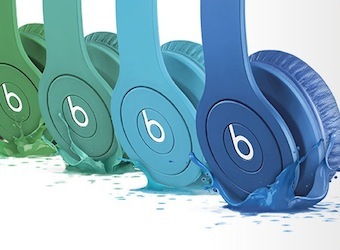 Apple announced its acquisition of popular headphone maker Beats Electronics, along with subscription music service Beats Music this morning. Beats co-founders, rapper Dr Dre and music executive Jimmy Iovine, will join Apple, with Iovine to step down from his position at Interscope Records. “I’ve always known in my heart that Beats belonged with Apple,” Iovine said in a statement. The acquisition is the largest in Apple’s history, and is expected to help revitalise the company that has failed to offer music streaming services to compete with the popular Spotify, Pandora and others. The details of Beats’ integration have yet to be revealed but a merge between iTunes Radio and the company’s streaming service seems likely. Apple’s senior vice president of internet software and service, Eddy Cue, said in a statement that the addition of Beats’ “world-class subscription service” would “make our music line-up even better”.